EDINBURGH, Scotland--(BUSINESS WIRE)--pureLiFi, the global leader in LiFi technologies, has announced the completion of its Series B Financing Round led by Temasek. The funding will support the development and commercialization of its proprietary cutting-edge LiFi technology that uses modulated LED light to provide wireless communications, with the potential to be significantly faster than current WiFi technology. Harald Haas, the founder of pureLiFi and the “father of LiFi”, said “I am absolutely delighted that this significant step for pureLiFi has been achieved towards unlocking the grand LiFi vision”. LiFi uses the visible light spectrum instead of radio frequencies to deliver high-speed wireless data communication and Internet access. pureLiFi has worked with industry leaders such as Cisco and Lucibel to provide LiFi networks that offer substantially greater security, safety and data densities than WiFi, ultimately enhancing the mobile experience for the user. Since its last raise in December 2014, the company has completed the development and production of the LiFi-X product, the world’s first mobile LiFi dongle, which represents a key step towards mass-market adoption. This has enabled the company to secure the Series B funding and support its ambitions of ubiquitous LiFi infrastructure and device integration. Along with Mike Hickey coming in as Chairman, the company has also brought on Alistair Banham as CEO, both of whom have substantial experience in the semiconductor industry. 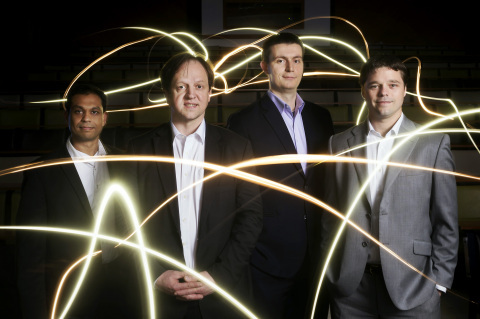 pureLiFi is a light communications Technology Company formed in 2012 as a spin-off from the University of Edinburgh to create OEM components, including LiFi drivers and receivers. pureLiFi has recorded year-on-year quarterly revenue increases of over 300 per cent against Q3 of 2013 and significantly grown its international customer base around the world with international partnerships in place with organisations such as Cisco, Rolls Royce and Lucibel.